In many cases, simply looking at one of the garage door parts will not tell you whether it is functioning safely and effectively. While inspection is important for identifying physical damage, it should not be the only part of the maintenance routine used for assessing door system components. The performance of tests is the other necessary measure. Find out which components must be tested and how this is properly done. The balancing of torsion coil trampoline springs must be checked during routine maintenance. For this, the opener must be disengaged. Then the door is lifted halfway through to its open position. When released, the unit must remain in its position. If it moves down, then the spring requires tightening. If the door moves up, some of the tension which the spring is loaded with must be released. 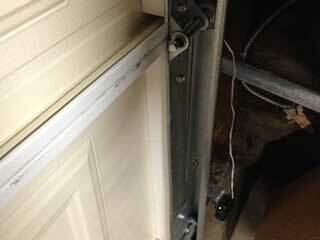 The safety reversal mechanism of the garage door opener should be tested on a regular basis. It is best if this is done more frequently than the scheduled annual maintenance. Our garage door repair experts in Sandy recommend the testing of the reversal mechanism to be done at least every three months. This applies to the testing of the safety sensors as well. In order to test the safety reversal mechanism without the sensors, you have to place an object, which is not in the path of the sensors, under the door. One of the easiest options is to use a folding patio chair. Once the object is in its place, you must engage the closing. When the bottom of the door touches the top of the chair's backrest, it must reverse. If it does not, immediate opener repair is required. The testing of the safety sensors is similar. While the door is closing, you need to wave a broomstick or another long and thin object in front of the sensors. When done, the unit must reverse its course immediately. The sensors must be fixed without delay. If this is not possible, garage door sensors replacement is required. In general, safety issues should never be left unresolved. With proper garage door maintenance and repair, you and your loved ones, as well as your property, will be much better protected.